Relocation is a comprehensive task that encompasses a range of smaller jobs and tasks. Where to move, when to move and how to move – from planning a move to executing and getting settled and started again; relocation is a complicated process. Undoubtedly, moving and shifting involves lot of energy and effort. A little carelessness can result in delays and damages. Hiring a professional mover can help ease the job and cut the associated stress. We, at CBD Movers™, are the finest removalists in Melbourne. Empowered by the best men in the business and equipped with high-end trucks and the latest supportive equipment, we guarantee a safe and smooth removal. Our wide range of removal services supports you at every step. Be it planning, packing, moving and unpacking, we have services for all. 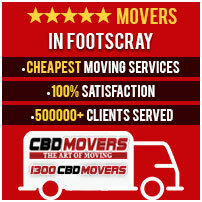 CBD Movers are the most preferred movers in Melbourne. Our wide gamut of services, skillful execution and affordable prices make us the most sought after removalist in Melbourne. We understand that every client has different needs, requirement, and budget. Thus, we customize each service to meet requirements perfectly. Our ‘Movers & Packers’ team help undertakes extensive home and office relocation jobs. The ‘Two Movers & a Truck’ service is apt for moving delicate articles, heavy furniture and machinery across Australian suburbs. Our fleet of trucks is well equipped and we focus on the safe and on-time delivery of the goods. Our services also ensure maximum safety. Our novel packing techniques and sophisticated packing material enable us to execute the safest removal. Our services are not restricted to state or national boundaries. We possess all the required licenses to undertake removals without legal hassles. At CBD Movers, we take pride in our range of removal services and affordable rates. We follow the policy to beat every written quote by 10%, making us the cheapest removalist in Footscray, Melbourne. We also offer comprehensive transit insurance, bestowing maximum protection against damage and loss. Our operations are transparent and we have no hidden clauses. Footscray, an inner-western suburb of Melbourne, Australia, is just 5 kilometers from the Melbourne’s Central Business District. Characterized by a rich, diverse and multicultural living, the suburb boasts of its beautiful houses and spacious offices. Offering the latest amenities for a comfortable life, Footscray is home to almost 13,000 people. 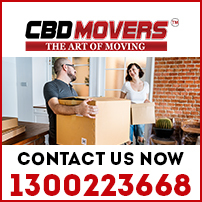 At CBD Movers, we undertake all sorts of moving services and extend extensive support to the people moving in and from Footscray. Our services are affordable and budget friendly. For a quick, safe and reliable relocation plan, call us at 1300 223 668.